‘Festivalling’: are jazz festivals utopian? My paper gave a brief overview of a literature review currently in review with Jazz Research Journal about the impact of jazz festivals; based on the final part of my paper, this blog post will consider briefly the ways in which jazz festivals have been or could be considered to be utopian. To begin, how jazz festivals have been considered in utopian terms in the literature. In his introduction to a collection of essays on pop festivals, for example, George McKay writes that festival, at its most utopian, can be ‘a pragmatic and fantastic space in which to dream and to try another world into being’ (2015: 5). As another example, in a paper on the Montreal Jazz Festival, Michael Darroch describes a ‘utopian inner city music village’ into which the festival organisers have imported various forms of music to the city, as well as tropes from New Orleans such as trad jazz and second line parades (2003: 133). Rather than helping New Orleans avoid poverty and inequality, the city’s role as playground to the world continuously reproduces unequal social structure. Even as it offers opportunities for a national audience to experience our culture, the festive state of the city has muted the voices of those who try to focus attention on urban issues (2008: 432). As Regis and Walton suggest, the New Orleans Jazz Festival maintains its power because of the fact that its many festival-goers return year after year in search of moments of transcendence; indeed, in a separate paper, Walton reveals how for some participants, the festival has had such an impact that they have even upped sticks and moved across the country to be closer to it (2012). The anticipation of the festival throughout the year means that festivals exist as both a real and an imagined – idealised – event. The ways in which audiences perceive such ‘ideal’ jazz events is highlighted in the work of Karen Burland and Stephanie Pitts on jazz festivals and jazz clubs, in which they conclude that audiences have in mind an ‘ideal’ jazz gig which they aim to replicate when deciding where and when they would decide to go; such ideals relate to instrumentation, the atmosphere and venue, the performers and the other audience members (2012: 537). Work by Gail Brand et al into the performer–audience relationship at a jazz club highlights the importance of the venue to how much audiences enjoy the gig, who in general tend to prefer smaller, more intimate venues, although interestingly their research also highlights that this is not necessarily what is wanted by the musicians who don’t necessarily want such intimacy with the audience (2012: 643). Finally, Anne Dvinge uses Christopher Small’s concept of ‘musicking’ to show how the Detroit Jazz Festival transforms Detroit once a year via the interactions of the musicians and the people, which reflect the ideas of ‘ought-to-be-relationships in the world’ for its participants (2015: 195) and becomes a time in which ‘joy takes root annually’ in the city (ibid. : 185). Borrowing from Small’s ‘musicking’, then, it could be said that ‘festivalling’ becomes a particular type of activity or process in a particular type of space in which festival-goers’ ideal forms of society are imagined and explored. When considering whether jazz festivals are or can be utopian, then, the larger question is whether we mean the festival itself or the wider society in which the festival exists. Jazz festivals, by their very nature, are transient, albeit often cyclical, therefore any utopia they offer is rather fleeting. 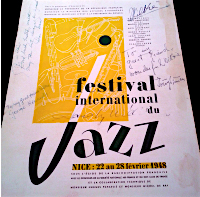 Jazz festivals, can perhaps be utopian for jazz fans in the sense of providing an actual and imagined ideal place dedicated to the enjoyment of jazz; as acts of ‘musicking’ they form part of the pilgrimages and rituals of jazz. A perfect festival is certainly easier to achieve than a perfect society, perhaps, although whether the social structure, rules and politics of a jazz festival or gig can ever be ‘perfect’ is debatable, especially the larger the event becomes and, perhaps, the more diverse the audience and the more broad the understanding of an ‘ideal’ gig. As the New Orleans Jazz Festival example I gave earlier shows, even a festival with utopian ideals can end up inadvertently recreating the inequalities of the society in which it exists, particularly around issues of race and gender. In this way, perhaps without a perfect society to start with, there can be no perfect festival. To conclude, then, a jazz festival is most likely not a site of utopia for wider social transformation, or even for a perfect jazz experience, but it has a number of significant impacts which mean that, for a short time, for some, ‘festivalling’ may be a glimpse of a jazz utopia. Darroch, Michael. 2003. ‘New Orleans in Montréal: the cradle of jazz in the city of festivals’. Géocarrefour 78/2: 129-137. Dvinge, Anne. 2015. ‘Musicking in motor city: Reconfiguring urban space at the Detroit Jazz Festival’. In The Pop Festival, ed George McKay. London: Bloomsbury: 183-197. McKay, George. 2015. ‘Introduction’. In The Pop Festival, ed George McKay. London: Bloomsbury: 1-12. Regis, Helen A. and Shana Walton. 2008. ‘Producing the folk at the New Orleans Jazz and Heritage Festival’. Journal of American Folklore 121/ 482: 400-440. Small, Christopher. 1998. Musicking: The Meanings of Performing and Listening. Middletown, Conn.: Wesleyan University Press. Walton, Shana. 2012. ‘“I only go to church once a year”: transformation and transcendence in jazz fest narratives’. Southern Journal of Linguistics 36/1: 104-126.